Kghbln created T4074: PHP Fatal error: Out of memory in /../w/includes/libs/rdbms/database/DatabaseMysqli.php on line 46 for $wgRottenLinksExcludeNamespaces. Kghbln created T4073: Also provide HTTP status code for statistics on links. Kghbln created T3817: Provide statistics about the number of links, also split up into the different status. Kghbln created T3816: Indicate time of list creation. Kghbln added a comment to T3705: Also show page holding the rotten link. Cool. I just updated and it works now. Many kudos!!! Ah I get it. The issue is that the link is not being added properly to special page "LinkSearch" so an invalid url is constructed which in my case gets redirected via an Apache rule to "Main Page". If I go to the special page and manually add the rotten link then I get the list of pages. I must note that the configured language of the wiki instance is "fr" so the special page is called "Recherche de lien". Perhaps this is the reason. Anyways a smart idea to use this special page to do the work. Kghbln updated the task description for T3746: System message "rottenlinks-showbad" is missing. Kghbln added a comment to T3710: Allow pagination after 25 links. This is really nice now. Thanks a lot! Kghbln edited projects for T3746: System message "rottenlinks-showbad" is missing, added: RottenLinks; removed Configuration. Kghbln created T3746: System message "rottenlinks-showbad" is missing. Kghbln reopened T3705: Also show page holding the rotten link as "Open". Kghbln reopened T3705: Also show page holding the rotten link, a subtask of T3718: Updates to RottenLinks extension, as Open. Kghbln added a comment to T3706: Define a maximum width for the colums. Was already an identified TODO, this just tasks it. My plan is to make the "page usage" number a link which will then either pop up a formatted list of the pages it is used on or a redirect to a page with a list. Kghbln edited projects for T3710: Allow pagination after 25 links, added: RottenLinks; removed Configuration. Kghbln created T3710: Allow pagination after 25 links. Kghbln added a comment to T3709: Extension:RottenLinks - Special:Version - Add license label. @Paladox Cool. Thanks a lot. Kghbln edited projects for T3709: Extension:RottenLinks - Special:Version - Add license label, added: RottenLinks; removed Configuration. Kghbln created T3709: Extension:RottenLinks - Special:Version - Add license label. Kghbln edited projects for T3707: Only show rotten links, added: RottenLinks; removed Configuration. Kghbln edited projects for T3708: Omit e-mail and telephone links, added: RottenLinks; removed Configuration. Kghbln created T3708: Omit e-mail and telephone links. Kghbln created T3707: Only show rotten links. 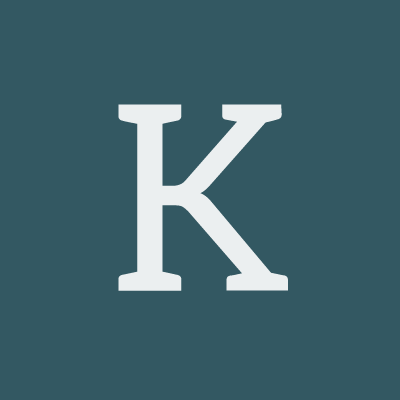 Kghbln created T3706: Define a maximum width for the colums. Kghbln updated the task description for T3705: Also show page holding the rotten link. Kghbln created T3705: Also show page holding the rotten link.